Aqua America services more than 3 million people across eight states, including in Ohio. We are a publicly regulated water and wastewater utility company. 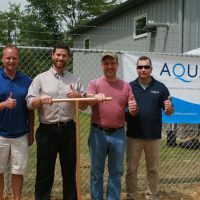 Aqua Ohio is the second largest subsidiary of Aqua America serving 500,000 people an average of 40 million gallons of water daily through 36 water systems. Aqua Ohio also provides wastewater treatment services through five wastewater treatment facilities. Aqua Ohio’s mission is protecting and providing Earth’s most essential resource. The American Society of Civil Engineers estimates that Ohio needs to invest more than $12 billion to replace aging water infrastructure and more than $14 billion for wastewater systems over the next 20 years. Aqua Ohio invests $30 to $40 million each year across the state updating and replacing aging infrastructure. As a water company in Ohio, Aqua delivers quality water to municipalities, meeting and exceeding all state and federal regulations. If you believe that water privatization can help your city or town, please fill out the form at the right of this page. Infrastructure updates – Aqua Ohio regularly replaces old, outdated facilities, well stations, water and wastewater plants and water mains, allowing Aqua to provide reliable service and quality water. Fresh, reliable drinking water – Aqua Ohio provides safe drinking water to each customer, routinely testing water to ensure that it is safe to drink. Our Ohio water company has the technical expertise to provide quality wastewater services consistent with public health benchmarks and environmental quality standards. Quality wastewater discharge – Aqua improves the quality of water discharged from wastewater treatment plants back into the environment. Safety for plant and animal life– Aqua cleans wastewater to remove disease causing bacteria ensuring that wastewater leaving Aqua’s plants is safe for all people, animals and plants. Active environmental innovations– Aqua is constantly transforming wastewater treatment processes. These procedures are respectful of the environment and will adhere to Ohio Environmental Protection Agency regulations. Millions of Americans receive their gas and electric utilities from private companies. Water and wastewater service, however is more often delivered by municipalities or local authorities but an increasing number of communities are enjoying the benefits of privatization. But many municipalities struggle with funding all of their community’s essential needs including, police and fire departments, schools, roadways and water and wastewater infrastructure. For municipalities interested in Ohio water or wastewater privatization, Aqua Ohio can be an excellent partner and integrate municipal water or wastewater systems into existing operations. 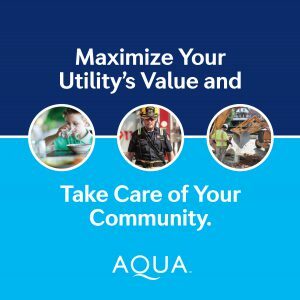 Aqua may be able to provide the municipality with additional funds to balance budgets, retire debt and eliminate the burden of operating and maintaining their utility as a government owned operation. In 2019, Ohio enacted legislation to help municipalities receive market-based values for their water and wastewater systems if they choose to sell their systems to a regulated utility. That increase can be converted into much-needed revenue for community priorities. 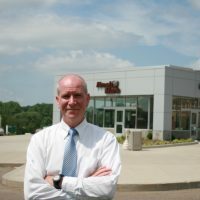 Ohio’s new municipal fair market value (MFMV) make working with Aqua more attractive than ever. To speak with Aqua about Ohio water privatization or Ohio wastewater treatment options, complete the form below. As an Ohio water company, Aqua’s singular focus is water and wastewater. Aqua employs licensed water and wastewater treatment operators, professional engineers and scientists ensuring the reliable delivery of safe, environmentally responsible water and wastewater service. Aqua is able to leverage purchasing power, compliance expertise and operational competences to efficiently spend capital for systems in need, improving infrastructure to provide safe wastewater and drinking water. Aqua Ohio schedules and funds infrastructure upgrades before systems break, increasing water quality and reliability. Municipalities that partner with Aqua are able to reduce the burden of water and wastewater costs and focus on other critical needs such as education and road repairs. In the case of an emergency, Aqua Ohio responds with service day or night. Aqua Ohio water customers pay, on average, one-cent per gallon for safe and fresh drinking water delivered directly to their homes and businesses. As a public utility, Aqua Ohio water and wastewater rates are set and approved by the Public Utilities Commission of Ohio.